It is asparagus season. And I couldn’t be happier. Our local asparagus are available which means it is time to indulge. If the weather ever warms up, then maybe we can outdulge! 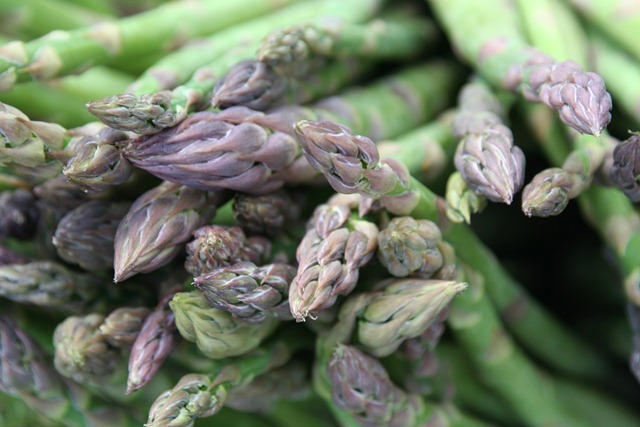 I just bought 5 pounds of freshly picked, beautiful Okanagan asparagus. They are so delicious, they can be eaten raw. My own bed of asparagus is, in a word, pathetic. I lost most of my asparagus to a poor winter and spring. Oh, there are a few tiny spears poking up but it looks like back to the drawing board in the asparagus department. I wouldn’t mind if it didn’t take so long to get the bed established. We have a small offering of wild asparagus around the farm but hardly enough to really over do it. Which is what I want to do. I will eat asparagus until the season ends and I might just about have had my fill by then but, then again, maybe not. Like mayonnaise, Gribiche is made by gradually working oil into eggs. 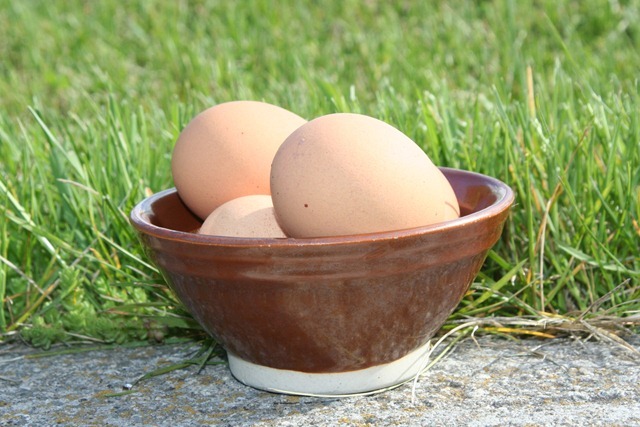 However, Gribiche is made with cooked eggs. There are many variations on this sauce – some recipes call for a mix of herbs, others a single herb. 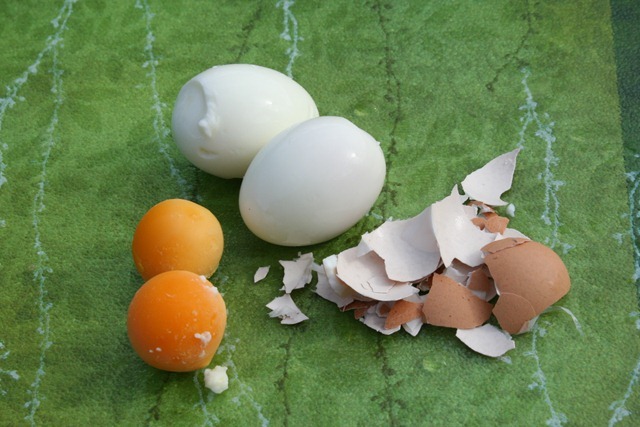 Some call for all egg yolks, some call for both whites and yolks. I think tarragon vinegar works well together with an addition of fresh tarragon. You can use the left over egg whites in an egg salad sandwich. Another favourite of mine. 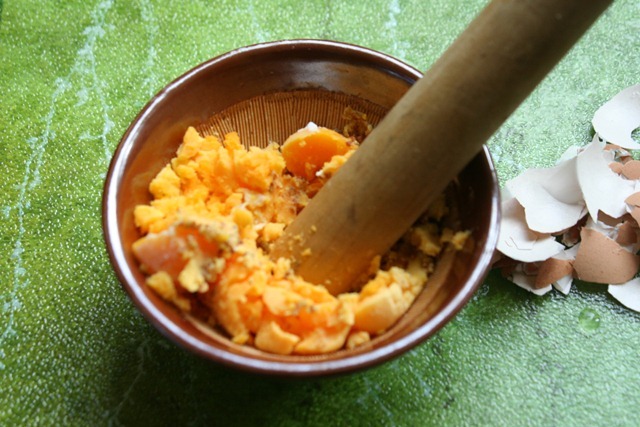 Put the yolks, Dijon mustard and a little salt and pepper in a mortar and pestle or food processor and mix together. To this paste add 1 tablespoon of tarragon vinegar. Add olive oil, drop by drop, as if making mayonnaise. Keep the sauce creamy by adding small amounts of vinegar or warm water, as necessary. 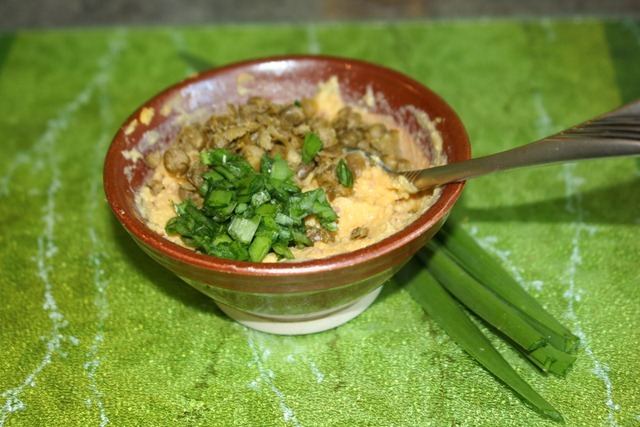 Finish sauce by adding chopped tarragon, capers and chopped egg white. Taste. Correct the seasoning.